The griddle is hot, the batter is tasty and you’re cozy in the kitchen, whipping up a delicious batch of pancakes. But before you cover those fluffy circles of breakfast delight with maple syrup, there are a few things you should learn, as an informed breakfast consumer. Our resourceful and wise colleagues down the hall at Consumer Reports have the lowdown on the sweet stuff, as well as the results of their recent maple syrup tests to help with your foray into the syrup aisle. • Maple syrup is sap from a maple tree that’s been boiled down to reduce the water content and concentrate the sugars. Caramelized sugars give maple syrup is color and flavor. It takes about 10 gallons of sap to make just one quart of maple syrup. 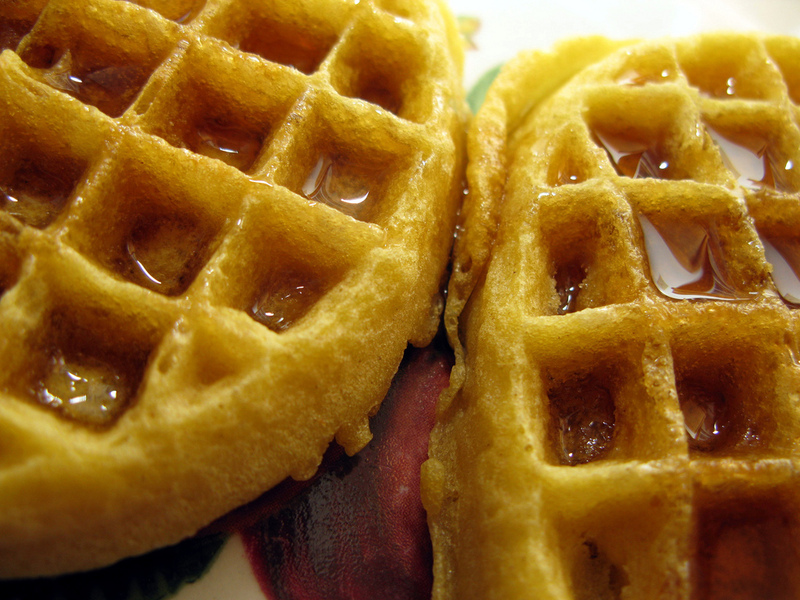 • Pancake syrup is a highly-processed product made using corn syrup and/or high-fructose corn syrup. You’ll often find added coloring, flavoring, and preservatives in pancake syrup in it as well. Consumer Reports‘ panel of professional tasters found big flavor differences between pancake syrup and maple syrup in blind tastings: Real maple syrup has a “clean, complex maple flavor with hints of caramel, vanilla, and prune,” while pancake syrups are “singularly sweet with little complexity and noticeable. artificial flavors,” Consumer Reports notes. What used to be known as Grade B syrup had a darker color and deeper flavor than grade A, but that doesn’t necessarily make it inferior. In order to clear up consumer confusion, as well as align with international standards, the U.S. Department of Agriculture changed the labeling system for syrup in January 2015, so that all maple syrup is now grade A. Though this change went into effect in March 2015, not all maple syrup producers have switched over so you might still see old grades on labels. Maybe you’re not in the mood for pancakes or waffles all that often, but don’t reach for that bottle you bought a few years ago, the last time you felt like making a breakfast treat. Maple syrup can grow mold so you should keep it in the refrigerator once it’s opened. After that, it’ll last six months to a year. An unopened bottle can be stored in a cool place for up to two years. Ready to buy a new bottle for the winter after all that sweet talk? Check out Consumer Reports‘ maple syrup ratings for more information.